For the third week of BM#54, I will be doing an interesting theme that will have recipes suitable for Dorm. The idea was suggested by Varada who’s daughter would be using these recipes. So I wanted to cover recipes that would be suitable for dorms that will have basic gadgets to cook these dishes. Since getting everything suitable for that theme, I thought we could do Easy School Recipes, some Single Serve Dorm Recipes or just Microwave Dishes. 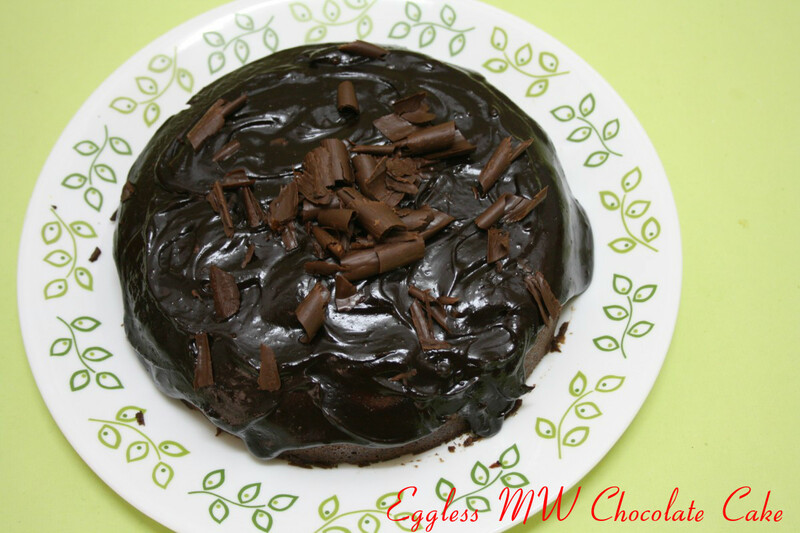 Today’s Eggless Chocolate Cake is a relatively easy dish to make. It gets done in flat 3 -4 mins, depending on your Microwave. I did mine under 4 mins, felt I should have removed it by 3. So for safer side, let me say this gets cooked by 3 mins. I also made a dark chocolate ganache. 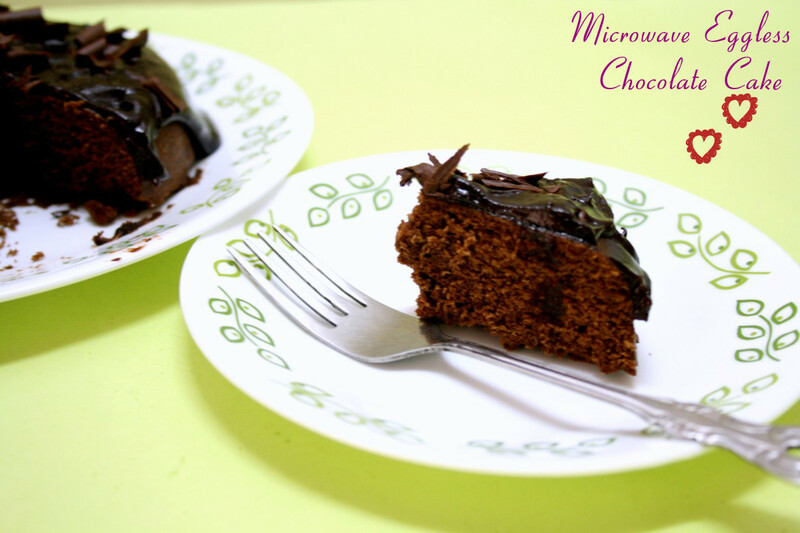 However kids using this recipe can just make the basic chocolate cake and enjoy. Grease a microwave safe bowl with a dash of butter and keep it aside. Mix the sugar and milk till the sugar gets dissolved. 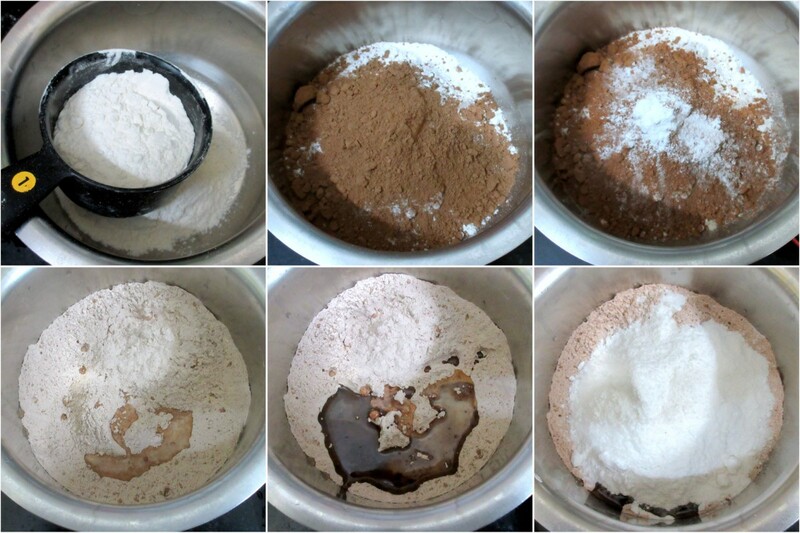 Meanwhile add flour, cocoa powder, and fluff together. Then slowly add the olive oil and the milk mixture. Finally add the baking soda, baking powder and lemon juice. Gently blend and pour into the prepared bowl. 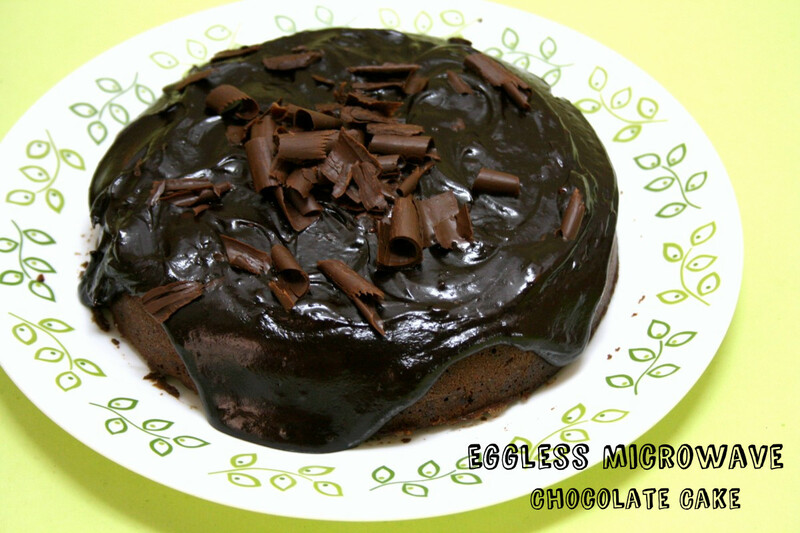 MW the cake for 2 mins. Rest and then again MW for a minute. Switch off and let it rest for 5 mins. The cake gets cooked after this as well. 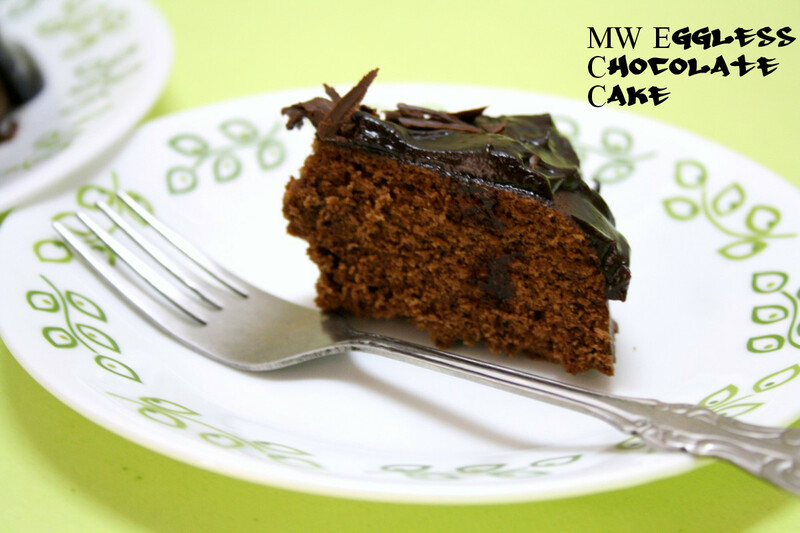 In a MW safe bowl, add chopped dark chocolate pieces, mw for 1 min. Then beat again and continue for another minute depending on how hard your chocolate is. Switch off, if required MW for another min. You need the cream to boil. Remove and add the melted dark chocolate. Whisk well and let it cool. 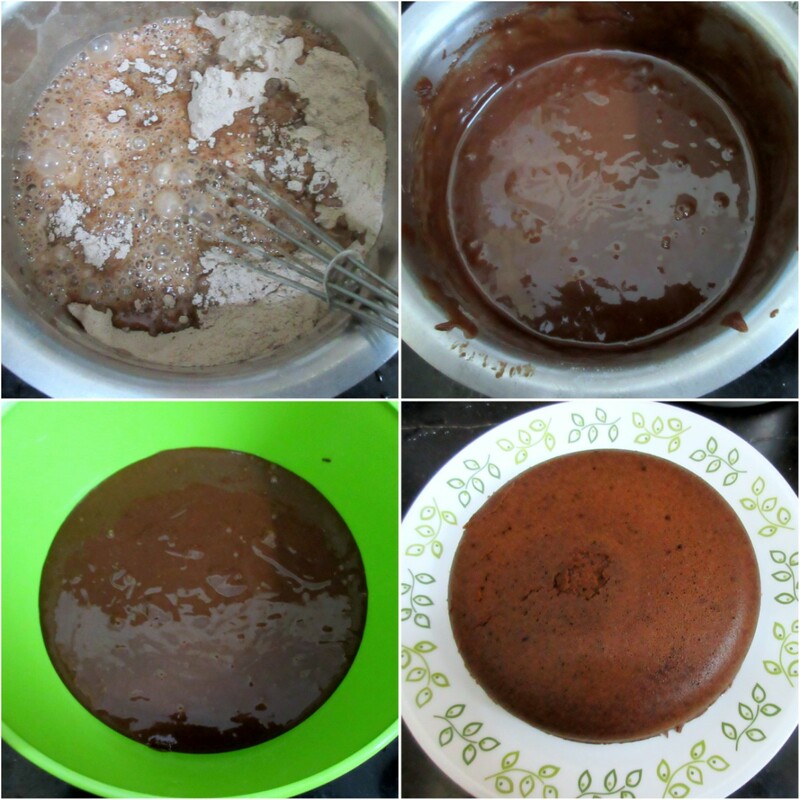 As it thickens, pour on the chocolate cake. Thats so quick ! Feel like having some. 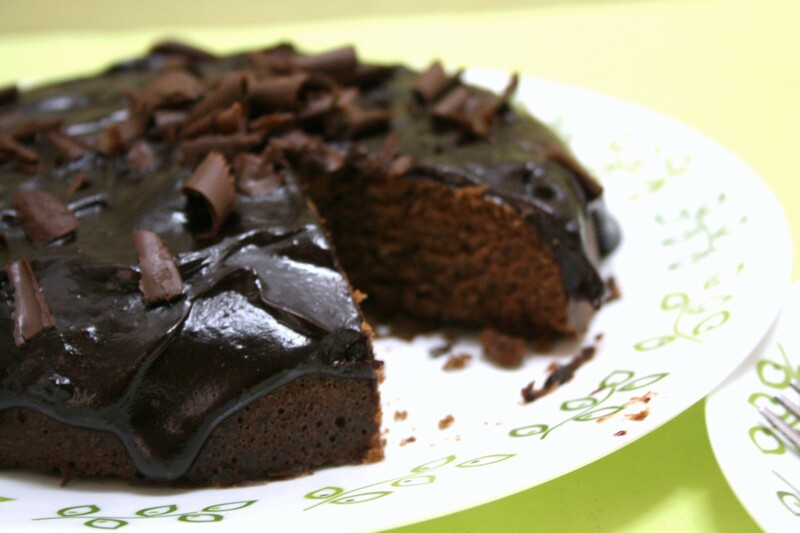 Chocolate as you know is an all time favourite. came out soo good..great texture..can't beleive it's done in microwave..
That cake looks so rich and delicious, doesn't look like it's made in the microwave. Good choice for the theme Valli. Wish i get a super huge slice of this cake, they came out extremely prefect..